Installed the Bronco using the new installer. When I started up, the GPS in the CDF variant doesn't work. I also got no prop animations, and no instruments, so although on loading a scenario I had apparent engine sounds (and pushing the throttle started me rolling), the props were still and no engine gauges showed any life (ASI seemed to work). I'd really be grateful for a little support here please? Hi Kevin, sorry for not immediately replying. So my question is, how did you recognize the error with the add-on.xml? Regarding your last port, make sure that you typed in the serial correct, no blanks at the beginning or the end. I selected this time the default install into the sim folders - the installer reports back finishing ok. The paths in the addon.xml above contain the double backslash as you can see. I wonder if that would cause a problem? 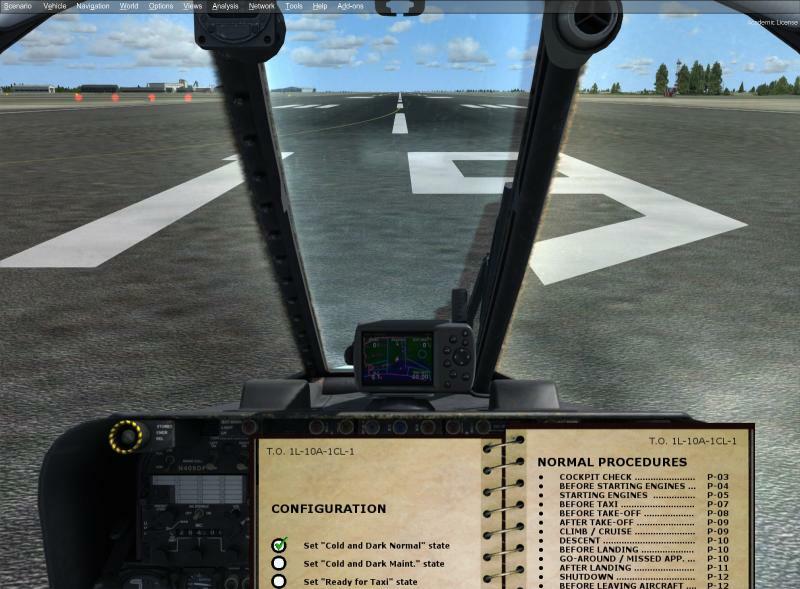 However, the aircraft now works, engine gauges ok, animations ok, checklist ok, GPS ok. But, if I cut and past the OV10 simobjects folders and effects files to my D drive and update the addon.xml with the new path accordingly, I can reproduce my original install problem! The double "\\" creates an issue with PMDG addons. You can correct it with only one "\".